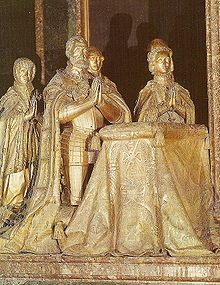 Charles V[a] (24 February 1500 – 21 September 1558) was Holy Roman Emperor (1519–1556), King of Germany (1520-1556), King of Italy (1530-1556), King of Spain (1516-1556), King of the Indies (1521-1556), Lord of the Habsburg Netherlands (1506–1555), and head of the House of Austria (1519-1556). 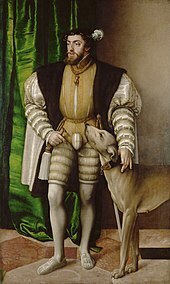 Charles V revitalized the medieval concept of the universal monarchy of Charlemagne and travelled from city to city, with no single fixed capital: overall he spent 28 years in the Habsburg Netherlands (primarily Brussels), 18 years in Spain (notably Toledo and Extremadura), and 9 years in Germany. 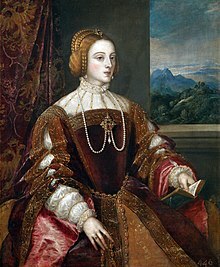 After four decades of incessant warfare with the Protestants, the Ottoman Empire, and the Kingdom of France, Charles V abandoned his multi-national project with a series of abdications between 1554 and 1556 in favor of his son Philip II of Spain and brother Ferdinand I of Austria. The personal union of his European and American territories, spanning over nearly 4 million square kilometres, was the first collection of realms to be defined as "the empire on which the sun never sets". 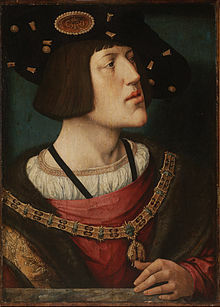 Charles was born in the Flanders on February 24 in 1500 and his parents were Philip the Handsome of the Austrian House of Habsburg (son of Mary of Burgundy and Maximilian I, Holy Roman Emperor) and Joanna the Mad of the Spanish House of Trastamara (daughter of Isabella of Castile and Ferdinand of Aragon). Due to the premature death of his father and the mental illness of his mother, Charles inherited all of his family dominions at a young age. As Duke of Burgundy from 1506, he inherited areas in the Netherlands and around the eastern border of France. As a grandson of the Catholic Monarchs of Spain, he became King of Spain jointly with his mother in 1516 and inherited the developing Castilian empire in the Americas and the Aragonese territories extending to southern Italy. As the head of the House of Habsburg, he inherited Austria and other lands in central Europe and was also elected in 1519 to succeed his grandfather as Holy Roman Emperor. Furthermore, Charles ratified the conquest by Castilian conquistadores of the Aztec and Inca empires as well as the establishement of Klein-Venedig by the Welser family in search of El Dorado. 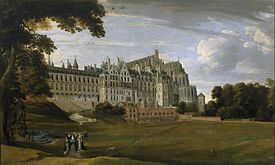 Because of widespread fears that his vast inheritance would lead to the realisation of a universal monarchy and that he was trying to create a European hegemony, Charles was the object of hostility from many enemies. His reign was dominated by war, particularly by three major simultaneous prolonged conflicts: the Italian Wars with France, the struggle to halt the Turkish advance into Europe, and the conflict with the German princes resulting from the Protestant Reformation. 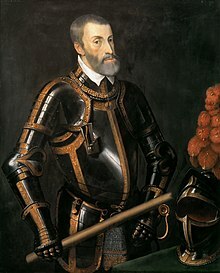 In order to finance such wars to defend the Holy Roman Empire, Charles V increased the flows of South American silver to Spain (the chief source of his power and wealth) and caused long-term consequences on the economy. While Charles did not typically concern himself with rebellions, he was quick to put down four particularly dangerous rebellions; the Revolt of the Comuneros in Castile, the Revolt of the Brotherhoods in Aragon, the revolt of the Arumer Zwarte Hoop in Frisia, and, later in his reign, the Revolt of Ghent (1539). Once the rebellions were quelled, the essential Castilian and Burgundian territories remained mostly loyal to Charles throughout his rule. 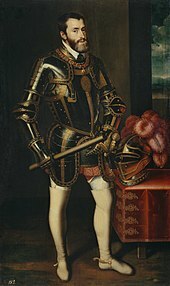 Charles opposed the Reformation, and in Germany he was in conflict with Protestant nobles who were motivated by both religious and political opposition to him. 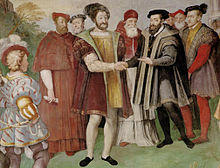 In 1521 he organised the Diet of Worms and declared Martin Luther an outlaw, but could not prevent the spread of Protestantism and (despite victory in the Schmalkaldic War) was ultimately forced to concede the principle of Cuius regio, eius religio in 1555. The struggle with the Ottoman Empire was fought in Hungary and the Mediterranean. The Turkish advance was halted at the Siege of Vienna in 1529, and a lengthy war of attrition, conducted on Charles' behalf by his younger brother Ferdinand (King of Hungary and archduke of Austria), continued for the rest of Charles's reign. In the Mediterranean, although there were some successes, he was unable to prevent the Ottomans' increasing naval dominance and the piratical activity of the Barbary pirates. The French wars, mainly fought in Italy, lasted for most of his reign. 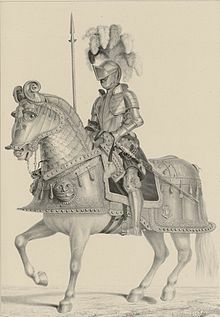 Enormously expensive due to the employement of Condottieri and Landsknecht, they led to the development of the infantry known as the Tercios. 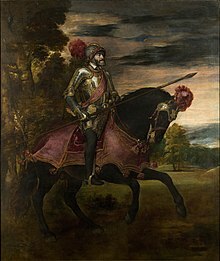 The Battle of Pavia (1525) led to the temporary imprisonment of Francis I of France: imperial control of the French-occupied Duchy of Milan was restored and Charles V became Duke of Milan in 1535. However, France refused to accept the hegemony of Charles V and often supported the Protestant Leagues and formed alliances with the Ottomans.